Waterford FC return to action this Saturday after the mid-season break with a trip to The Showgrounds to face Sligo Rovers. 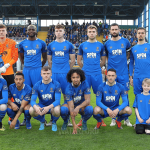 Waterford FC are delighted to confirm that Courtney Duffus will remain with the club for the rest of the season. 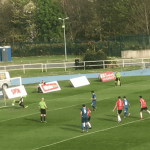 Speaking to WaterfordFC.ie, Manager Alan Reynolds talks about the latest on Courtney Duffus, looks back at the season to date, new additions to the squad, the fans, and a look to the rest of the season.